In a previous post we looked at a non-motorized masterplan at the scale of the major city. In this post we turn our attention to the small town. For the Non-Motorized masterplan in the town of Lapeer, Michigan, population 8,800, we looked at issues that were more localized to the downtown area and its connectivity to the outer areas of town and the regional non-motorized network as a way of reframing the downtown as a destination for surrounding areas. The cornerstone to successful urban cores is the “pedestrian shed”. The pedestrian shed is based on the distance that people will walk, generally, before they will consider driving to their destination. This distance has been documented to be approximately 1/4 mile or about 5 minutes time. 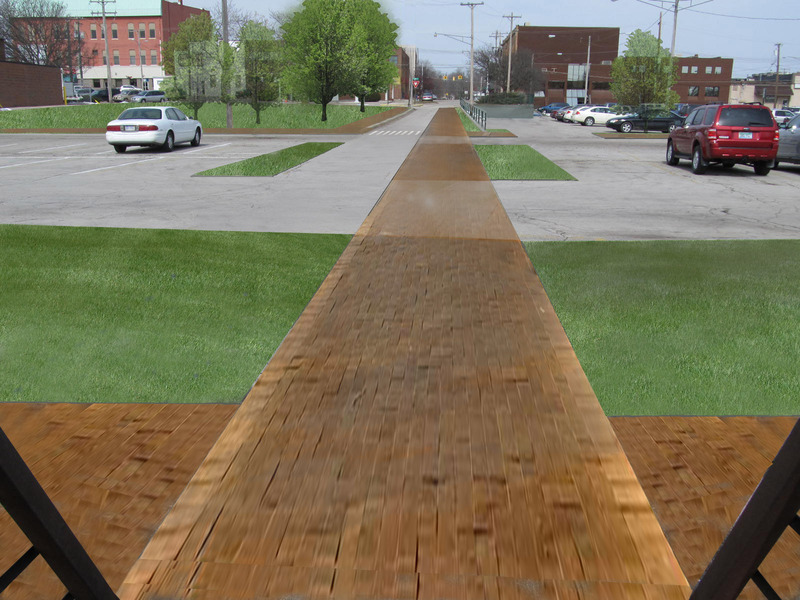 The design team carefully integrated walkability issues into the non-motorized planning of the downtown core area. The main focus of the non-motorized plan was the downtown and the river area of Lapeer. The connection between the mainstreet and the river benefits from the ease of walking between the two areas. As can be seen in the urban core analysis the downtown pedestrian shed extends from the core of main street to the neighborhood to the north, Anrook park to the east, the town hall and the elementary school to the west and, of course, the river to the south. The walkable connections to these areas will be enhanced through sidewalk modifications and visual cues. Pedestrians utilizing the downtown core of Lapeer can be thought of as having many different trip types. Pedestrian trip types include those associated with: traveling to work, transit or other multi-modal facilities, school, recreation and entertainment, health and exercise, shopping, social events, personal errands, appointments, and linked trips (for example, running errands on the way to work). Their needs for the different trip types vary. All pedestrians, though, have common needs, such as safety, connectivity, and accessibility. The Lapeer Non-Motorized Masterplan weaves together an outer, more suburban path system with an inner, more urban system. It adds an additional level of complexity of a riverwalk system that interacts with both. Because of this condition, the masterplan needs to cater to multiple kinds of cyclists. Improvements can be classified into three categories: marginal roadway improvements, roadway designations (bike lanes), and separated facilities (bike paths). The choice of which improvement to utilize depends on the people using it, the existing physical conditions, and resident input. In order to facilitate effective bike paths the destinations within the downtown need to be identified and access to those destinations needs to be carefully plotted. One of the most respected researchers of urban planning, pedestrian interaction, and city navigation is Kevin Lynch. In his book Image of the City, Mr. Lynch defines landmarks, paths, edges, nodes and districts to be essential elements when creating a map of one’s surroundings. 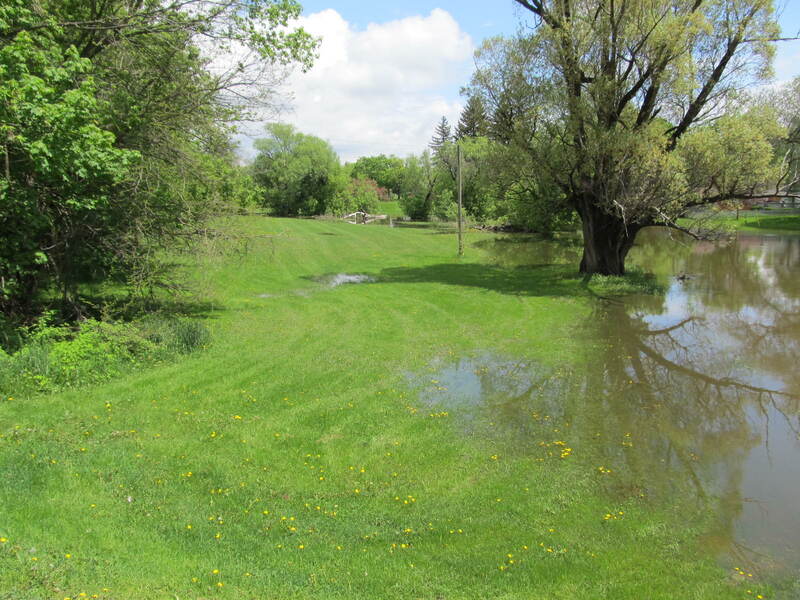 His explanation of what makes a city identifiable to its users was an appropriate example to consider when selecting the final destinations for the Town of Lapeer’s Non- motorized Master Plan. Collecting and organizing data related to possible destinations for a non-motorized system within an urban area such as the town of Lapeer is an important step in laying out a system that not only provides a means of travel for non-motorized users, but takes these travelers to places of interest or importance within the community. Destinations that possess historical or cultural significance,and are currently in use, were given priority. 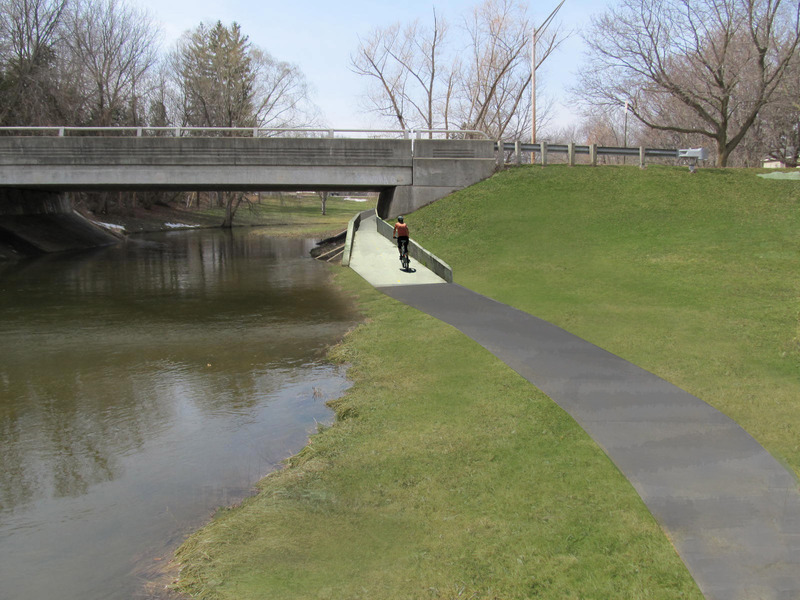 Destinations that provide a greater access to Lapeer’s outer townscape were given further priority Using this process, preliminary linkage plans were created between the downtown core and its major asset, the river. The destinations were then analyzed against the preliminary non- motorized routes based on our walk-through of the downtown core area and the riverway to verify the accessibility of destinations from the proposed network. one use to reach/access these places? Is it an easy, safe, and comfortable trip to the site? Is the destination open to the public, including those with bikes? Urban districts and neighborhoods are realizing the benefit of cycling and a pedestrian friendly environment on their level of redevelopment and enhancement. The act of cycling in particular sets up the opportunity for interactions to emerge between neighborhood awareness and appreciation. In short, cycling provides another layer of town pulse, a level of transportation that illustrates the quality lifestyles afforded by residents of a district or town. Commercial areas are important in two ways, as they potentially could attract a large numbers of shoppers as well as the employees needed to service them. individuals who do not own a vehicle. The new non-motorized system can also help provide a safe route to schools close to the core. 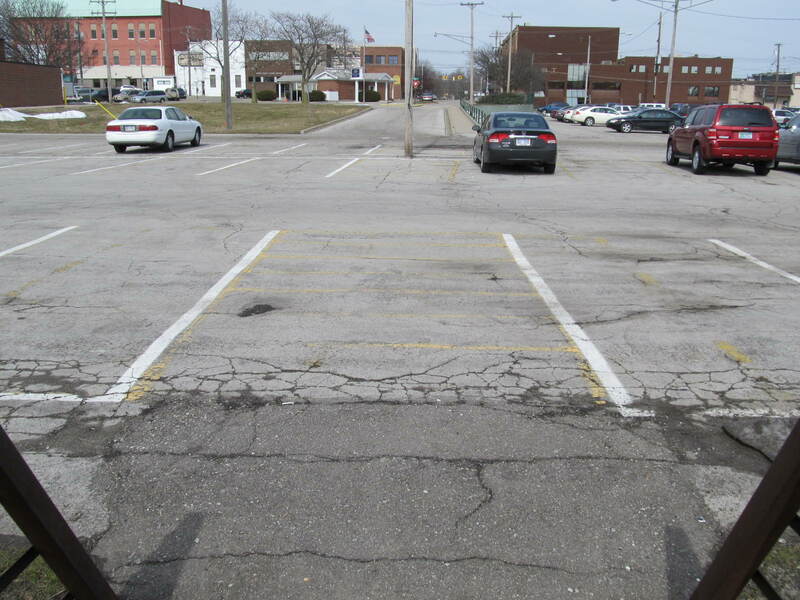 The High School and Middle School in Lapeer can gain from non-motorized traffic because they allow for independent ease of travel between classes and libraries or other education oriented destinations. School age children present an excellent target group to encourage safe, healthy living and transportation within the town. As these students mature, they can take with them the lifestyle gained from healthy, economical, and viable transit system well before they are able to either afford an automobile or gain the proper licenses and education for driving. Park systems are significant contributors to the quality of urban life. Access to these amenities typically has a positive effect on property values and the general “livability” of a community. Parks are specifically important because they will contain the bulk of the off road cycling and walking facilities to be found in an urban setting. Improved access to these destinations would help promote active living while providing residents with connection to a green, healthy, and progressive community. It is important to note that water trails can also be considered a non-motorized activity and therefore access to rivers and streams becomes an important feature of a destination plan. These sites include the Town Museum, Town Hall, Post Office, theatre, Farmers’ Market and other places of assembly that form the backbone of the downtown core of the town. Historical sites include buildings and locations that play a significant role in telling the story of the town of Lapeer and its residents. Architecturally important buildings are easy to locate and appreciate. 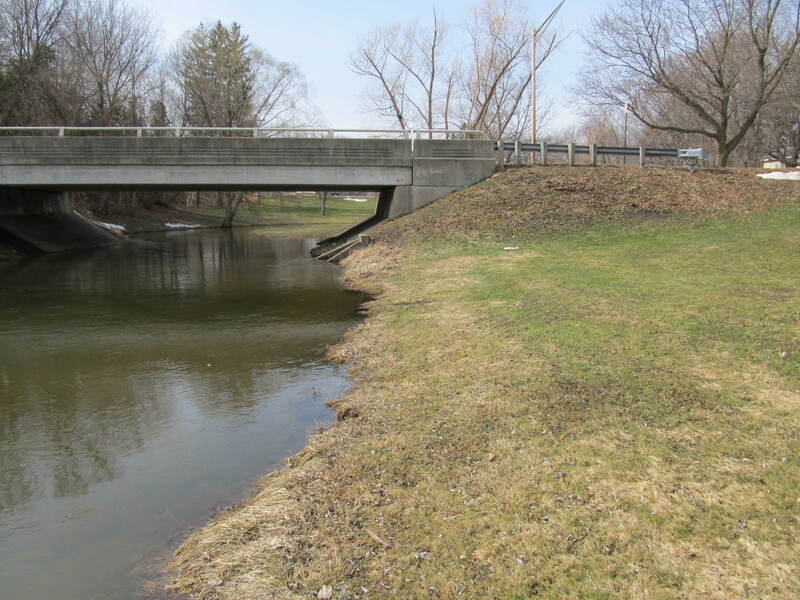 This is an important advantage for Lapeer because of its status as the county seat. In addition to providing accessibility, a non- motorized system should take the next step and provide connectivity as well. Connecting to potential non-motorized systems being developed in and around the region provides additional opportunities for residents of Lapeer to visit and utilize the resources of the entire region. 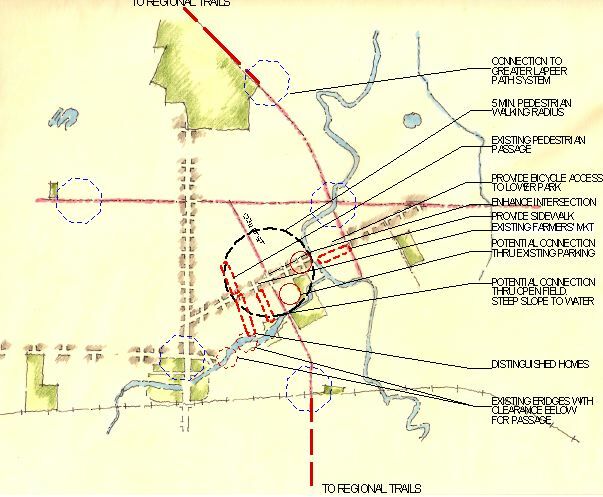 Connection points were based on the presence of an existing adopted plan for a non-motorized path or the existence of the termination of an existing non-motorized path at the town. two well established anchors, which are city parks. The design team’s task was to envision additional opportunities along the river that would add variety and interest to the pedestrian/ cyclist experience. These included extended a dead end street via a public observation deck and access stair to a new “urban beach” recreational area as well as multiple connections to the adjacent parks with new bridges and trails. Proposed “Urban Beach” recreational amenity. One such example is the Pine Street Connection. The Pine street connection incorporates existing plans to tie the downtown core to the adjacent riverfront park. 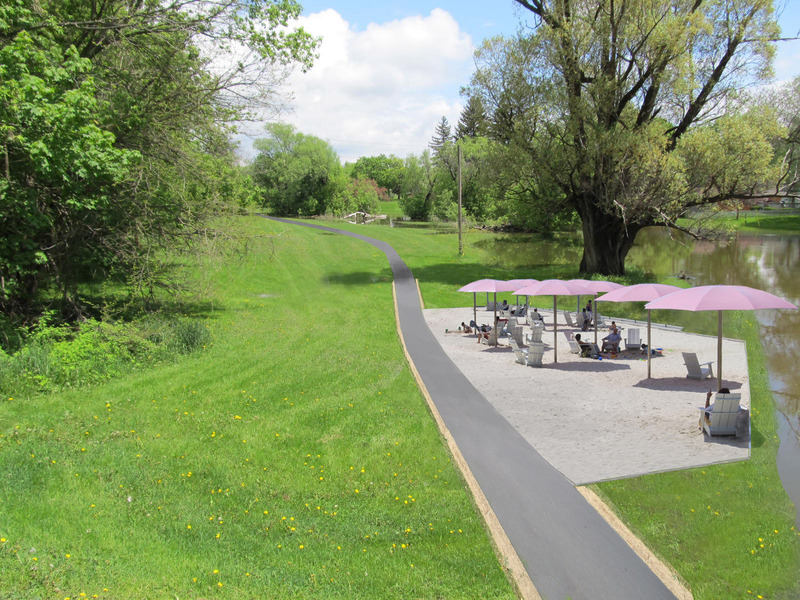 Through reallocation of an existing visually offensive parking lot on the north side of the river, the design team was able to provide a trail right-of-way that ties into the Annrook park connector. A clearly defined pedestrian path links the existing park area to the south with the downtown core to the north. This pedestrian path replaced a less than dignified pedestrian experience of traversing through the existing sea of asphalt. Pine St. downtown access-Existing view from river. The types of non-motorized improvements that may be implemented are ultimately contingent on the existing configuration of a particular roadway corridor. As mentioned previously in this post, since almost all streets in the core possess pedestrian sidewalks on both sides of the street, the main objective was to provide a safe, separate area for bicycles. This objective is combined with the need to provide pedestrian connectivity to the riverwalk system. Bridge at Fox Street and the river’s edge-Existing. The new non-motorized system takes advantage of the river amenity. In the end it can be envisioned that a carefully executed non-motorized plan can have a transformational effect on the perception of a small town looking to re-position itself in the 21st century.